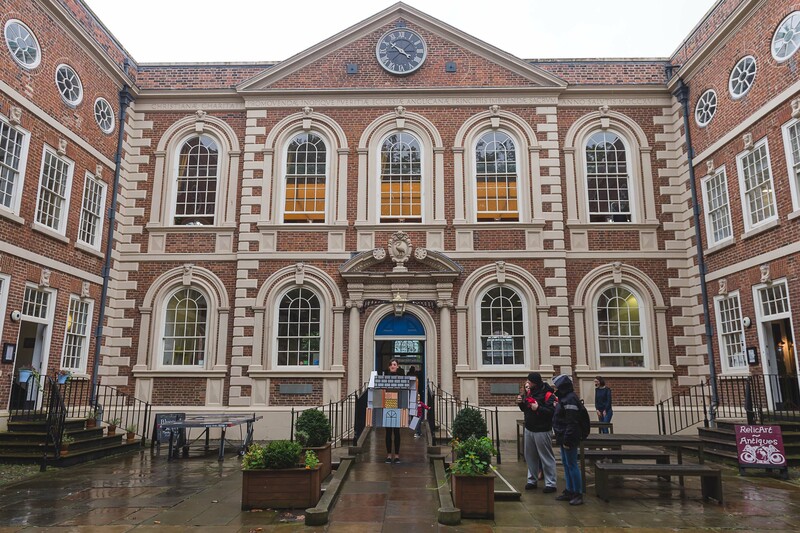 The Bluecoat Chambers has stood as a 300-year-old architectural gem in Liverpool city centre, providing a hub for contemporary artists. 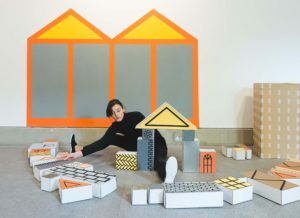 Liverpool-based Emily Speed was the latest to benefit from displaying her talent at the Bluecoat at the weekend, when she invited visitors to take part in an interactive experience called ‘Structures for Play’. Speed filled the largest gallery with child-height replicas of architectural places, such as a courtroom and a chapel – buildings which are heavily coded with rules and regulations. Her aim was to transform these structures into areas of play and performance. 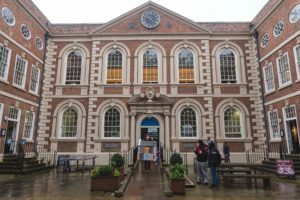 The Bluecoat asked children to take over the galleries, with Abacus – an interactive exhibition that encourages visitors to break the rules of a contemporary art space. The performance segment involved a woman wearing a sculpture, based on different eras of the chambers and its surrounding area. Emily explained it “has a playful aspect; the aim of the performance is to disturb the flow of the Bluecoat”. When asked by JMU Journalism where Speed got her inspiration for the project, she said: “The scale of the work in the gallery is aimed for toddlers, so I probably made it for him,” – referring to her two-year-old son, Wilbur. Speed discussed the difficulties of being in the art world and balancing it with being a parent, saying: “I’ve only just got my head around it.